The British Antique Furniture Restorer’s Association (BAFRA) exists to promote the highest professional standards of restoration. By employing a BAFRA accredited restorer you can be confident that your restoration is done by someone with a high standard of knowledge and skill. BAFRA is one of only three professional bodies in the conservation-restoration profession to “Accredit” their members and demand high standards of work from their members. Representing the best artist-craftsmen in the field of furniture conservation and restoration right across Britain BAFRA also has overseas members in Cyprus, France, Germany, Malta, Spain, Switzerland, and the USA. The highest standards in cabinet making and finishing skills plus similarly high standards in some more specialist skills such as gilding, boulle work, oriental lacquerwork, textile conservation, metalwork, upholstery, seat weaving etc. 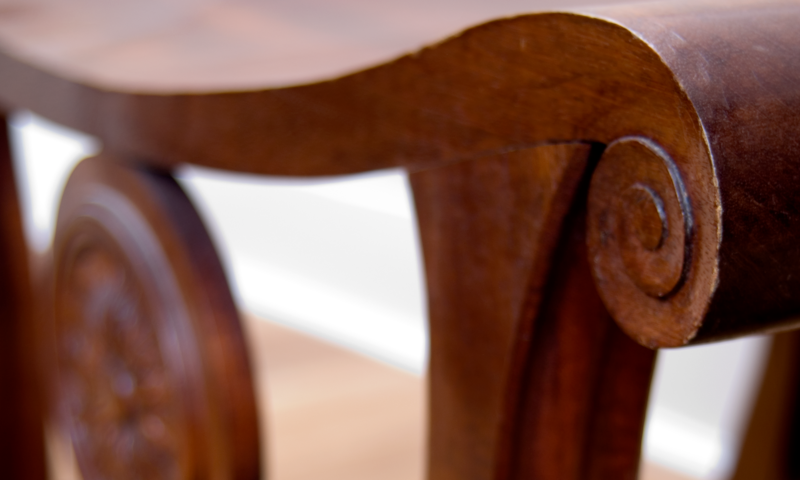 A thorough knowledge of furniture history.